“With Philippine, we are missionaries at the service of life”. 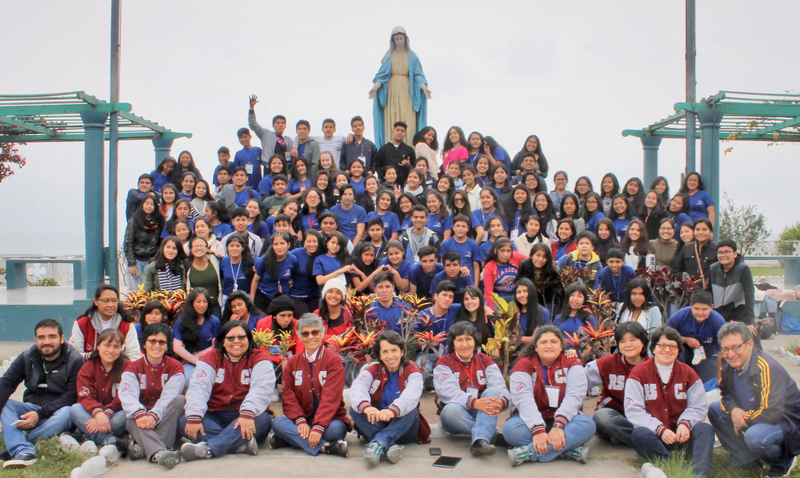 It was an experience of God and family: 110 young people from the JOSAC Communities (Young People of the Sacred Heart) participated. They belong to our institutions and projects in Bambamarca, Jaén, Trujillo, Layo and Lima, in addition to some former students and other young people searching for their vocation in life. The life of Philippine Duchesne, the Mission of the Society, and the Calls of Chapter 2016. The Christian vocation in religious life, the priesthood, laity and family life. Our sister Cecilia Rivero rscj from Mexico spoke on "My vocation and mission as RSCJ" and shared her gifts through a concert that drew the Congress to a close. All that was lived and shared gave young people an opportunity to strengthen their missionary call and Christian commitment at the service of the Kingdom, from the experience of Sacred Heart Spirituality and in the style of Philippine Duchesne. These humanizing experiences offered spaces for communion, as well as an invitation to commit to Justice, Peace and the Integration of Creation. As Family of the Sacred Heart, our Province was revitalised by the joy and commitment of the young people who call us to go forward with them to new frontiers and to set sail on the adventure of living life more humanly.